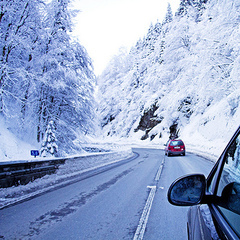 If you’ve made the decision to drive to the Alps this year, it’s worth remembering that ski resorts can be anywhere between 7 and 13 hours’ drive from Calais – a big difference when you’re stuck in a car packed full of people and ski gear and every extra hour is 60 precious minutes missed on the slopes. 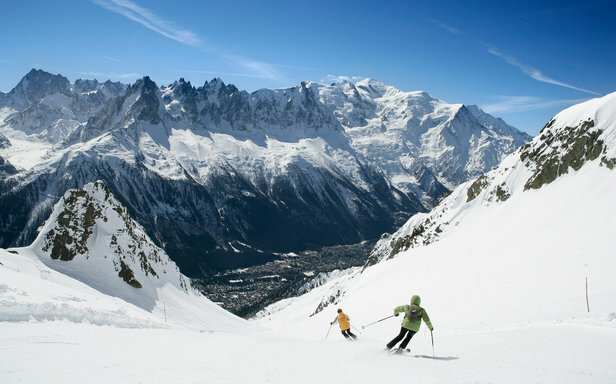 We’ve picked six of the best ski resorts to drive to from Calais. All our resorts are within nine hours’ drive and costs are based on a petrol car with tolls on a one way trip. 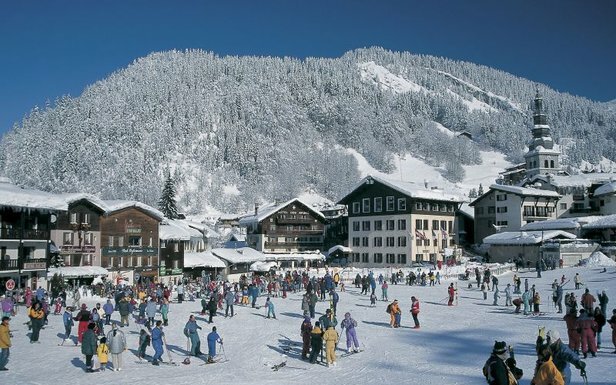 Oberstdorf in the Bavarian Alps is Germany’s second most popular ski area after Garmisch-Partenkirchen. 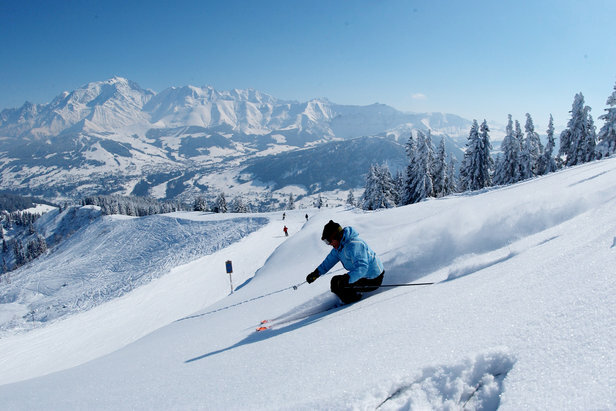 The resort offers some of the most extensive skiing in Germany – 124km of the Oberstdorf Kleinwalsertal ski area. 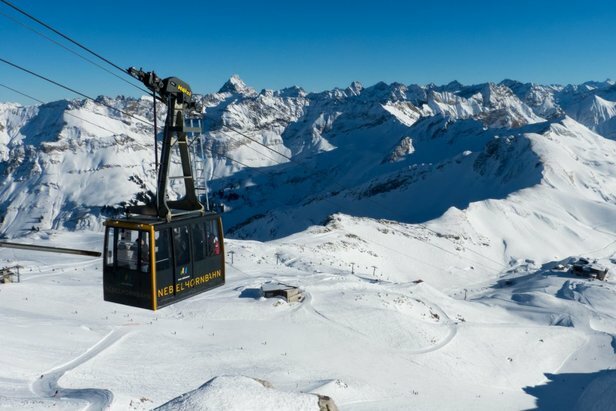 It's also home to Germany’s longest downhill run from the Nebelhorn lift (7.5km) and has some of the country's most varied runs, with everything from nursery to FIS racing slopes. Be sure to look up from the slopes once in a while as Oberstdorf has some truly awe-inspiring views across more than 400 peaks. The resort is perhaps best known for hosting the first leg of the famous Four Hills ski jumping tournament. Small but perfectly formed, La Clusaz (1100-2600m) is a hidden gem of a resort. You’ll feel that sense of pride at being ‘in the know’ when you recommend this place to friends. La Clusaz is conveniently situated off the Autoroute Blanche and is often overlooked by skiers zooming past on the way to Chamonix or the Three Valleys. This pretty Savoie village is made up of tasteful wooden chalets built around a church and is one of the few to ooze French charm while still offering every modern amenity. The great all-round terrain is spread over five mountains and really does have something for levels as well as some epic off-piste. When the lifts close, head to the main square’s handful of bars, stylish shops and excellent restaurants to gorge yourself on delicious French food and wine. This really is one of the best ski resorts to drive to in France. The big Cham needs little introduction. If you ski regularly, you’ve probably skied here. But, at just eight hours from Calais, this is an uber-resort that you easily reach by car. And it’s surrounded by mile upon mile of piste and off piste. 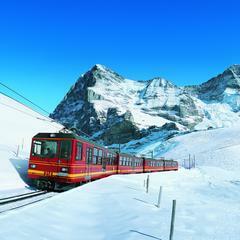 The town is somewhat sprawling but is peppered with areas of alpine charm. For those who like an almost limitless choice of runs, this is as good as anywhere in the world. And a car opens up even more choice. Pricey in the resort and at the mountain bars and restaurants, but this is France, n’est-ce pas? If Disney designed ski resorts they would look something like the medieval village of Megeve. Hotels and restaurants are smart and sophisticated as are the visitors, for the most part. Prices, as with any swanky French resort, are steeper than the surrounding slopes but those on a tighter budget can still find ways to enjoy the resort without selling a kidney. The 325km of pistes are ideal for beginners and there’s plenty of off-piste for advanced skiers – all with stunning scenery. Many of the lifts are as medieval as the village centre so getting up to get down can be ponderous. Apres-ski is as serene as the woodland ski runs, which, for those wishing to avoid the raucous and rowdy, can only be a good thing. Propose to your girlfriend here and she’ll have a tough job turning you down. 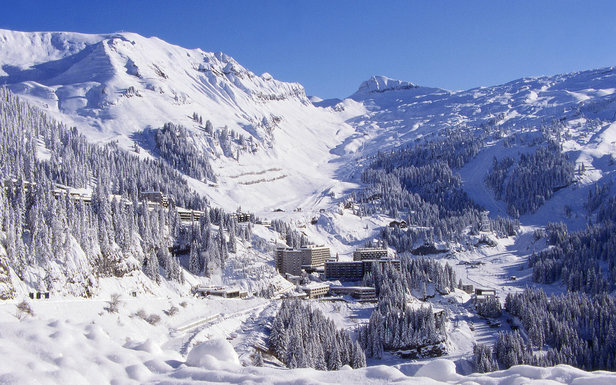 Flaine (1600-2500m) is located at the foot of a big snow bowl in the Grand Massif ski area (265km). 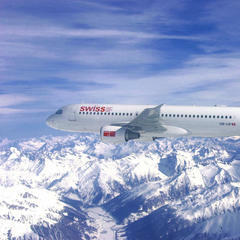 The extensive ski area has plenty of terrain for all levels and largely north-west facing slopes which hold snow well. Its compact, convenient centre is largely devoid of cars – and nightlife – but you don’t come to Flaine for the après-ski, you come for the varied terrain and reliable snow, so ski your legs off all day and go to bed early. A powder-filled Flaine in Le Grand Massif, France. 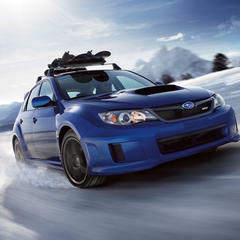 An Italian ski resort manages to squeeze into our 'best ski resorts to drive to' list at number 6. 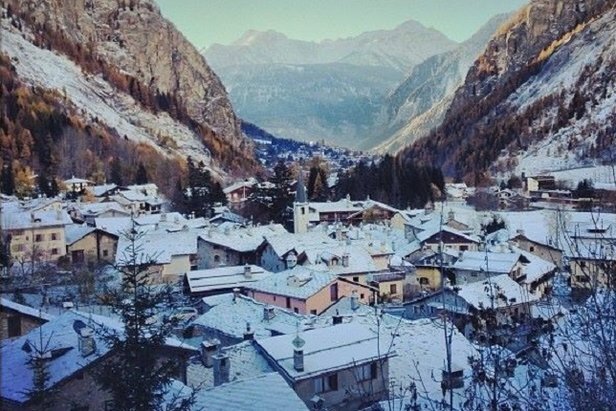 Courmayeur is just within the 9-hour drive from Calais and is all about the charm. Its car-free cobbled streets are lined with well-preserved old buildings and the mountain is scattered with cutesy restaurants serving up delicious dishes with great dollops of scenery. The views of Mont Blanc are spectacular from the upper slopes and snow cover is pretty reliable due to the north-facing ski area. Courmayeur’s 36km of pistes are best-suited to intermediates. The resort is also popular with freeriders and heliskiers for its 64km of off-piste with some cross-border skiing on the French side of Mont Blanc. When the lifts close, head to the stylish shops and civilised bars in the village.